Every year, between July and December, turtles on the Pacific coast of Costa Rica start hitting the beach to lay their eggs. Volunteers from all over the world come to these stunning rural beaches to protect the nesting turtles and their hundreds of tiny eggs. The turtles are a sight to behold, but stepping off the beaten track in Costa Rica is just another highlight of volunteering with turtles. Mother turtles tend to lay their eggs at night time, so our volunteers are out and about under the Milky Way each night to collect their eggs, taking them to hatcheries so they can hatch in safety. Threats include birds, dogs, crabs and even the sea. During the day, our volunteers are collating data, working in the hatchery and helping out in the community. But they are the first to tell us that life is not all hard work – they love to explore the area that they call home as well. 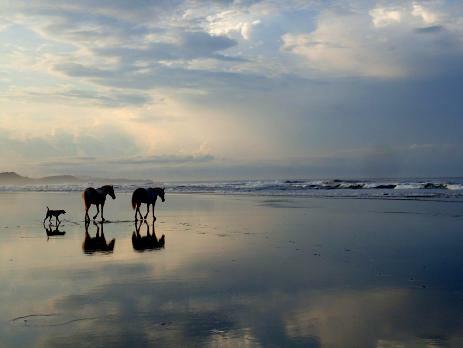 Costa Rica, in English “Rich Coast”, is incredibly diverse. The beach sites for the volunteer projects are absolutely stunning, and are miles away from any built up resorts that usually clog coastlines. Volunteers live within a local community, adapting to the slow pace of life of rural living and learning all about their culture. The peace and quiet of this remote location is one of the highlights of this project, but for the organised and adventurous, there are other gems in the area to enjoy. How can you not mention the beach, when the volunteer accommodation is just metres from the sandy shore? The beaches here are of golden sand, and spread for several kilometres along the coastline, hemmed in by rising cliffs and gushing rivers. 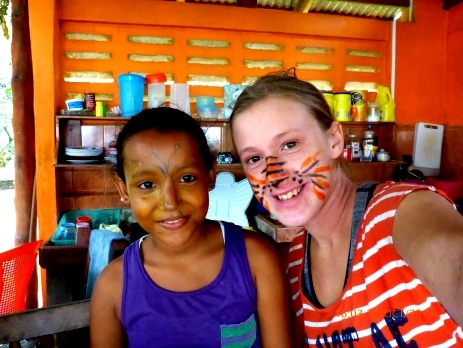 Volunteers spend time reading, swimming, surfing, walking, sunbathing, playing football, building sand turtles with local kids, doing beach clean ups, playing frisbee, playing volleyball… and whatever other things they can imagine beach life can entail. Some of our volunteers in the past have been known to start the day with yoga on the beach together, whereas others have chilled out together playing music. The project is in a rural forested area, within a small community. Roads ramble up hills and into other villages, and volunteers are never short of an excellent walk in the area – although often this is just to town to pick up the free wifi at the project office! If you are feeling more intrepid, you can arrange to do tours in the area, weather permitting. It is important to remember if you do want to do a tour, that you are in a developing country. Things can change quickly, and at times things are not available or possible. Tours that volunteers have arranged to take part in previously have included a kayaking tour, a mangrove tour, a horse riding tour and a butterfly farm tour. 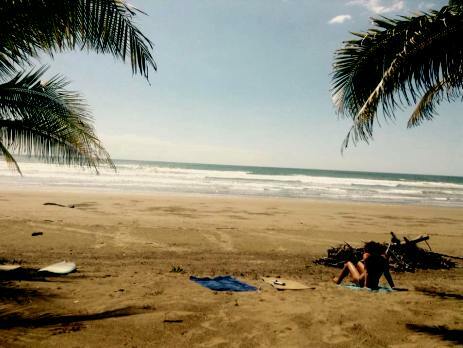 It is important to remember when trying to book tours that the Costa Rican catchphrase is “Pura Vida” – which basically means “easygoing”, “life is good” and “chill out”. This means that people don’t approach things with the same sense or urgency or commitment as you might be used to, so you need to be flexible. One of the pleasures of getting off the beaten track is really becoming immersed in the local community. Volunteers in the past have helped with beach clean ups, have built sand turtles with the local kids, played in the local beach football / volleyball games, have taught English in the local school, have helped the children with their English homework… and have even helped in local fundraising projects. Immerse yourselves, and take a lead on becoming a local! In addition to what is available around you in nature and the community, there is also the fun of project life to throw yourself into. Volunteers spend time reading, playing games, playing cards, writing diaries, walking into town to use the wifi or get some snacks…. or simply chilling out and having a chat or watching a film. Use your imagination and make the most of your free time in the project house. To find out more about the turtle conservation volunteer project, check out our turtle volunteer project site.